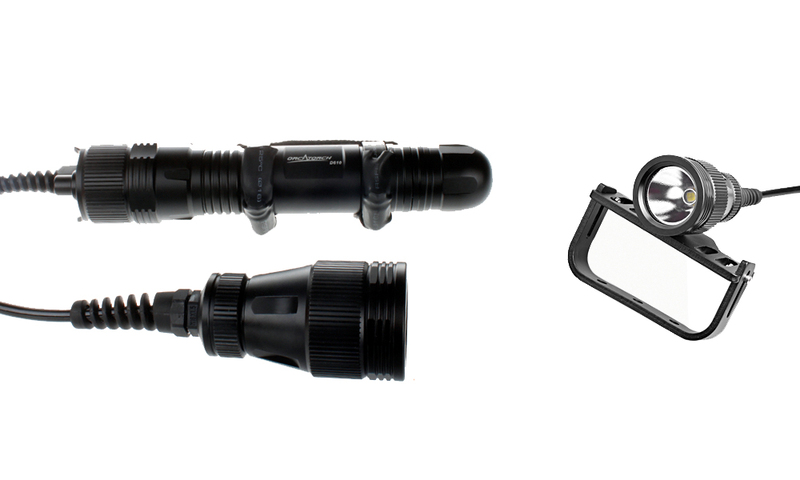 OrcaTorch D610+ is a primary canister dive light upgraded from D610.It adapts only one CREE XHP70 LED, delivers max 2400 lumens output. The light head is connected by a cable to the battery canister containing two 26650 batteries, this allow you to fix the battery canister to your body so you just need to hold the small light head when using it. What’s more, OrcaTorch’s unique magnetic switch offers multiple choices on modes to meet different needs. 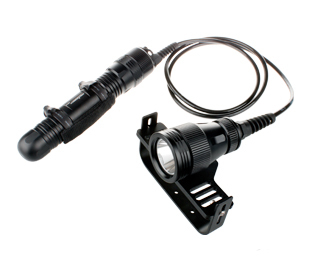 Has an 8 degree beam angle, making this light absolutely the best choice as your primary or back-up light whether you are a technical or leisure diver.